Dr. Kelly Flanagan is known to millions for the letters he writes to his children and shares on his blog. Loveable is written to the little one in each of us, who is all too ready to be reminded: you are enough, you are not alone, and you matter. 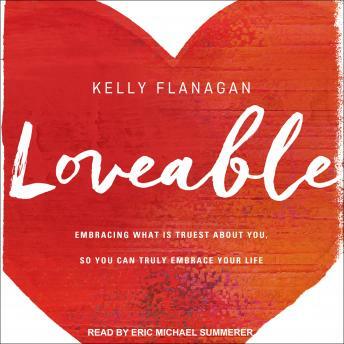 In Loveable, Dr. Flanagan reveals the core insight gleaned from his years of clinical work-you are here for a reason, yet you cannot truly awaken to it until you have first embraced your truest, worthiest self and then allow yourself to be truly embraced by others. Weaving heart-warming storytelling, gentle insights, and the wisdom of Dr. Flanagan's Christian tradition-including his belief that we are all 'the living, breathing bearers of the eternal, transcendent, and limitless Love that spun the planets and hung the stars'-this book invites you to remember the name you were given before all other names: Loveable.